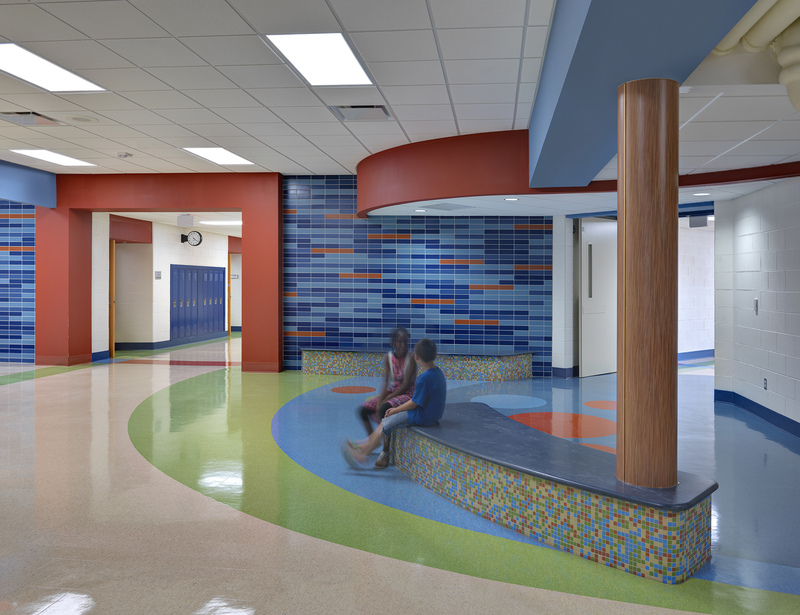 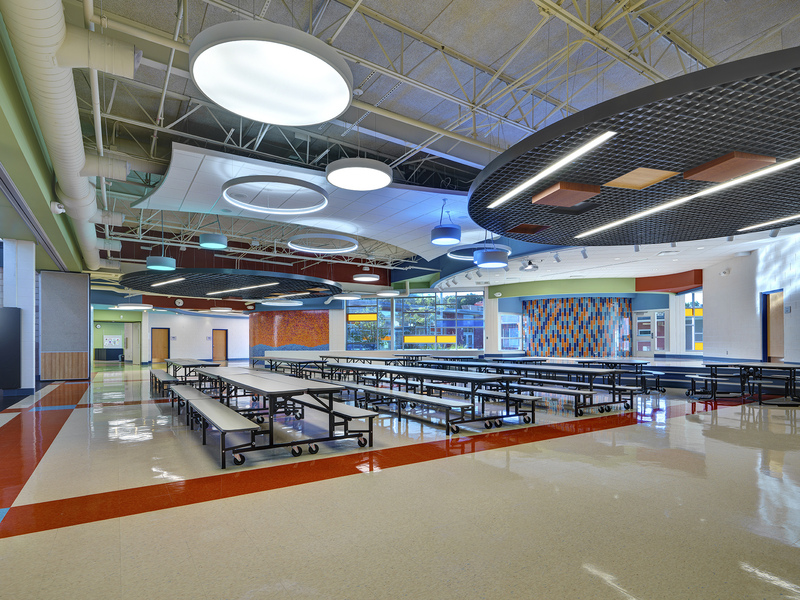 As part of the district’s 2013 bond and as the first phase of the master plan implementation, PARTNERS in Architecture transformed an underutilized, written-off and tired 1950’s school building into a state-of-the-art, inspirational environment for learning. 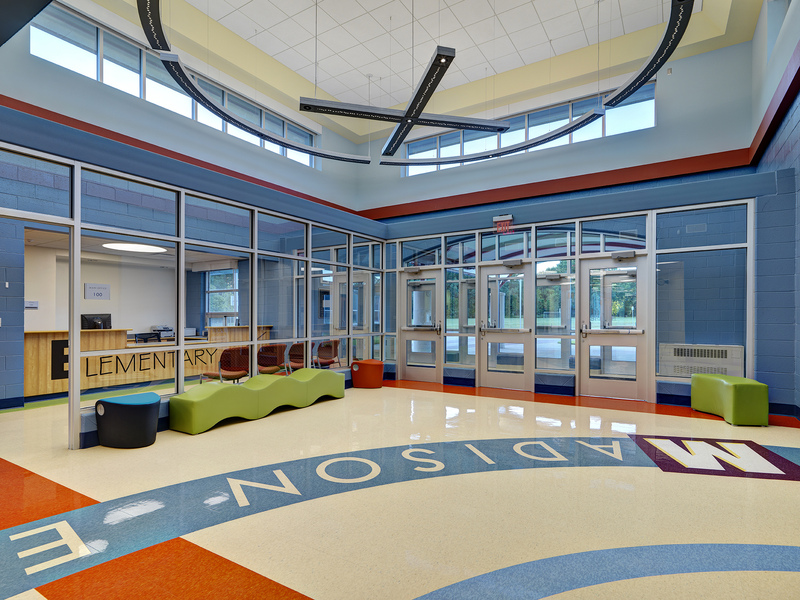 The existing building nearly doubled in size, adding multiple classrooms for pre-K through 5th grade, a cafeteria, kitchen, secure entrance, main office and several flexible spaces to accommodate small and large groups as well as diverse learners. 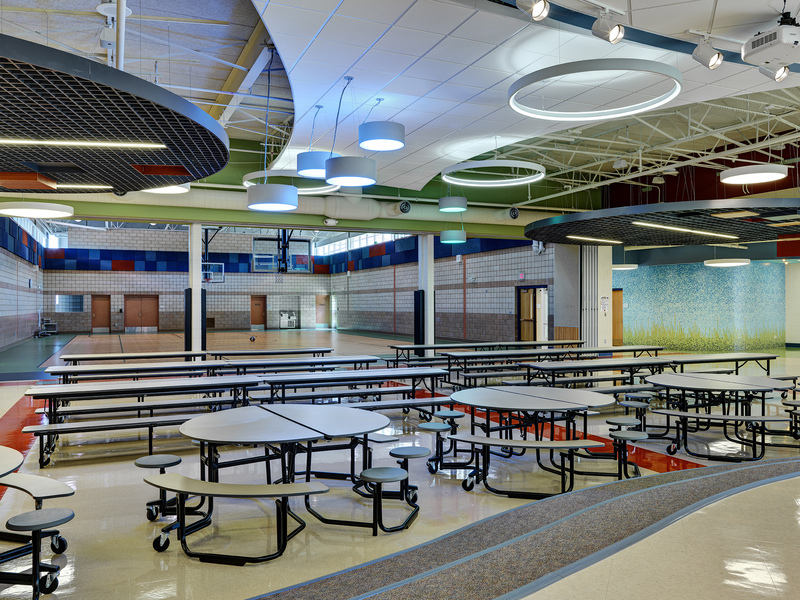 The centrally located “outdoor classroom” provides a secure, large outdoor environment to encourage outdoor learning. 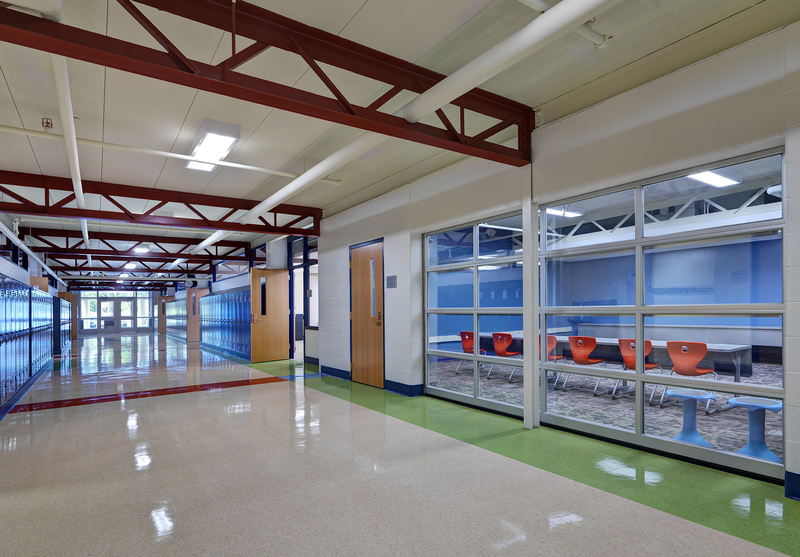 The nearly 3,500sf space can accommodate multiple classes at a time and is the main focus of the building. 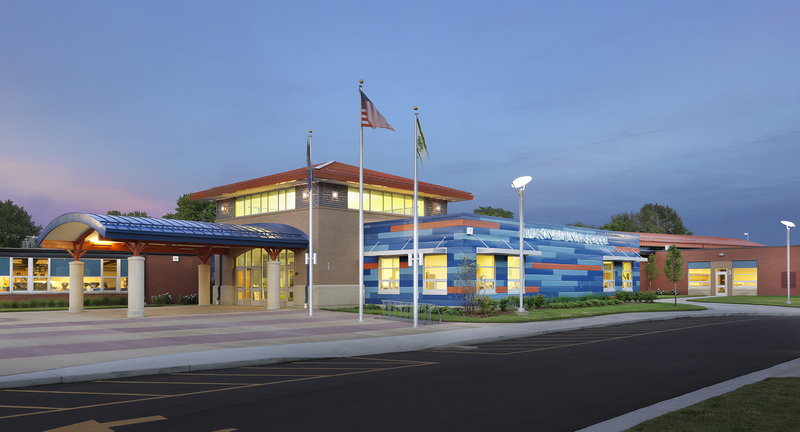 The dynamic and invigorating aesthetic gave the “old building” a new identity and infused a new energy into the neighborhood and community. 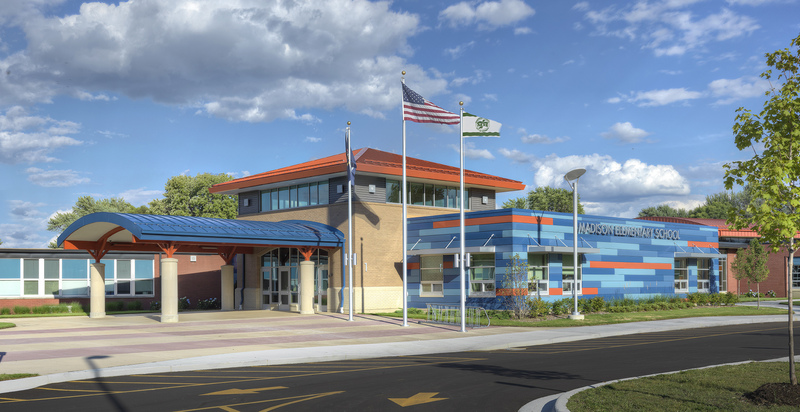 The Madison Elementary School project is the first phase of implementing the District’s master plan, which is to create a single, central campus for all students.